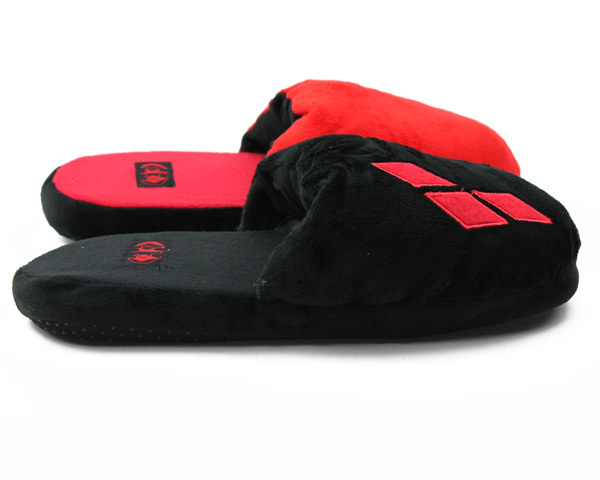 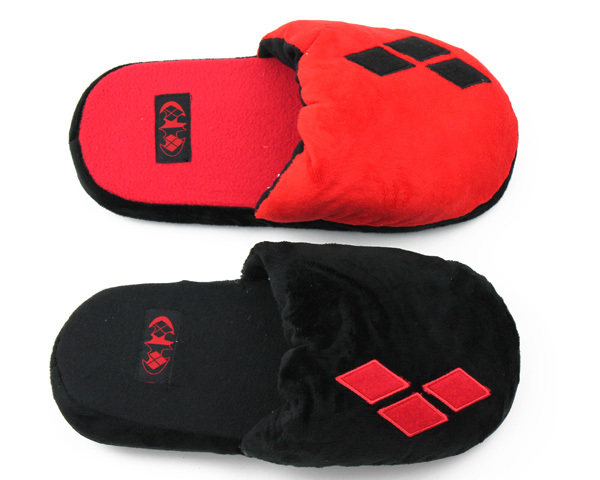 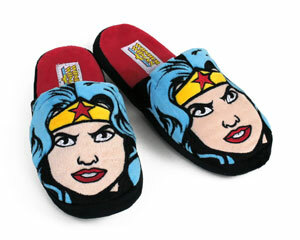 With these Harley Quinn Slippers you'll be the best dressed villain at the ball. 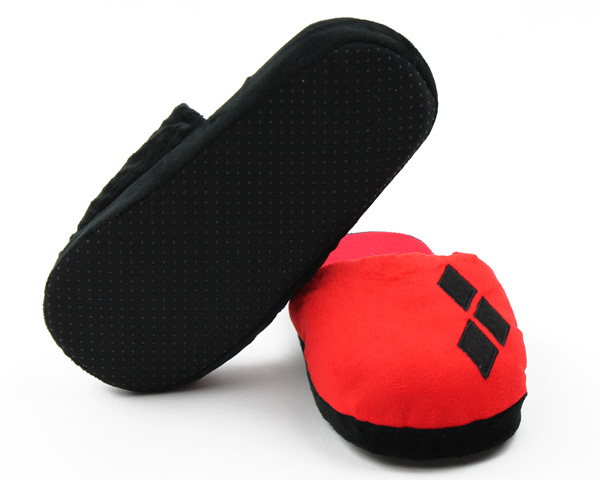 Adorned with her classes harlequin checkered design, these slip-on slippers are iconic and comfortable. 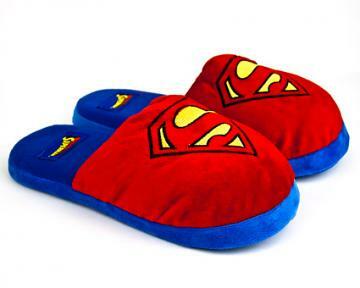 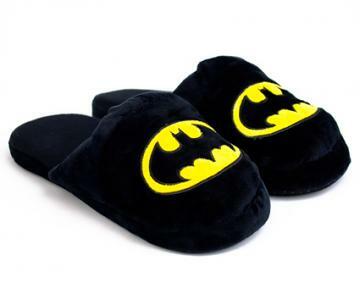 Plush and warm, you won't want to take them off, even while battling Batman. 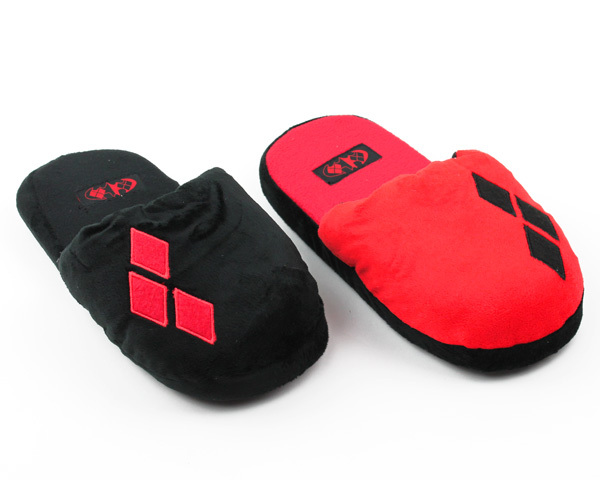 Available in multiple sizes, you'll be sure to find the perfect fit, for the perfect harlequin.